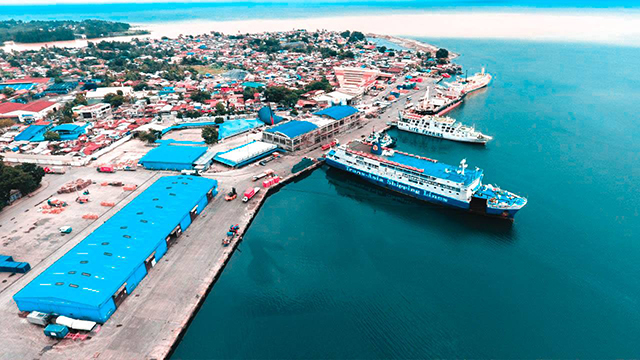 UBE Express launches new route. (SPOT.ph) Commuting to Ninoy Aquino International Airport can sometimes (or always) be a pain, especially if you're coming from the north side of the Metro. You have to think about the traffic along EDSA, more traffic in front of Terminal 3 and Newport City, and more traffic when you queue up inside. Not to mention the often-ridiculous price surge when you book a Grab, or the price negotiation courtesy of your trusty cab driver (yes, we're being ironic). The Department of Transportation hopes to solve this problem by launching UBE Express’ Araneta Center—Ninoy Aquino International Airport (NAIA) route, which starts its run on September 4. Fare is at P100 per head. 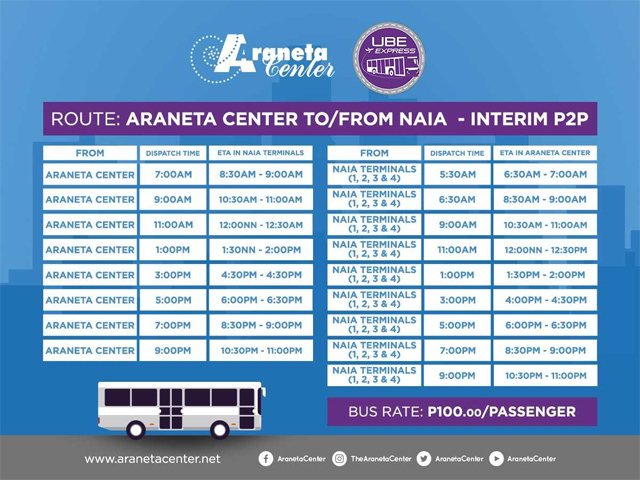 The first trip leaves NAIA at 5:30 a.m. while the opposite route leaves Araneta Center at 7 a.m. You can find the bus stop at the Araneta Center Bus Terminal, which also caters to bus lines traveling to and from Central Luzon, Southern Tagalog, and the Bicol Region. 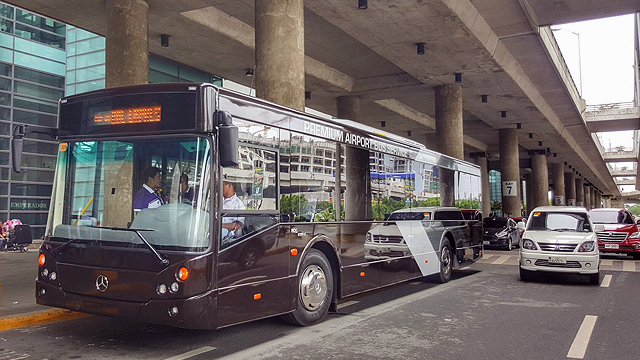 UBE Express is a premium airport bus service which caters to passengers across all NAIA terminals. 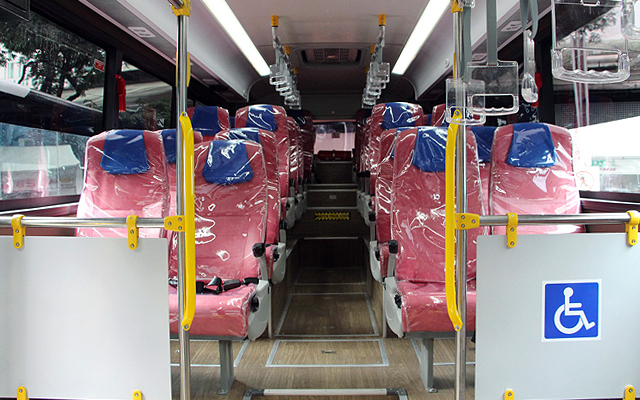 Each bus is fully air-conditioned and equipped with GPS technology, WiFi, and CCTV. 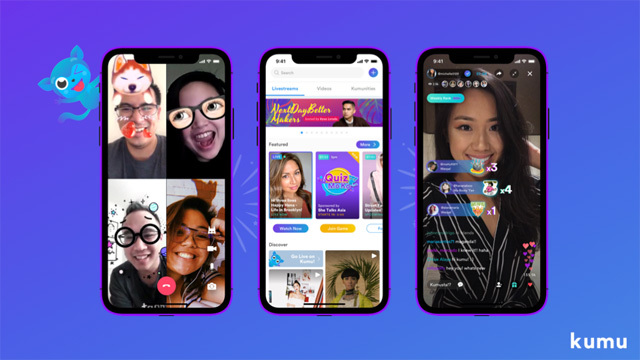 It was initially launched in February 2016, then relaunched in September 2016 through the partnership of the Department of Transportation and Air 21. Aside from the new Quezon City pick-up and drop-off point, the bus service operates four other routes: the Grand Prix Route, which has stops at Grand Prix Hotel and Kabayan Hotel in Pasay City; the Makati Route, which starts at Ayala Center in Makati City; the Entertainment Route, which starts at Go Hotel in Ermita and goes around the reclamation area in Pasay City and Parañaque City; and the Robinsons Route, which has a long list of pick-up and drop-off points starting from Intramuros in Manila all the way to the Jam Liner terminal in Pasay City. For more information, follow UBE Express on Facebook.